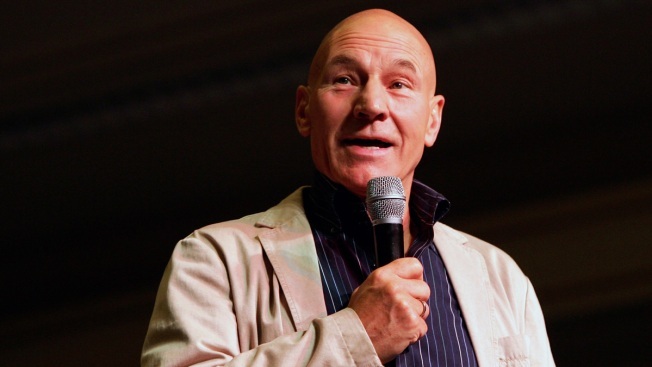 In this Aug. 14, 20115, file photo, actor Patrick Stewart, who played the character Capt. Jean-Luc Picard on the television series "Star Trek: The Next Generation," speaks at the Star Trek convention at the Las Vegas Hilton in Las Vegas, Nevada. Patrick Stewart is returning to Star Trek. The 78-year-old fan-favorite actor will once again play Jean-Luc Picard, the Star Trek: The Next Generation TV role that made him internationally famous, in a new series for the franchise that will air on CBS All Access. Stewart announced the news to fans during a surprise appearance at the Las Vegas Star Trek Convention on Saturday. "The time has come to Make it so!" read a post on the official Star Trek Twitter page. 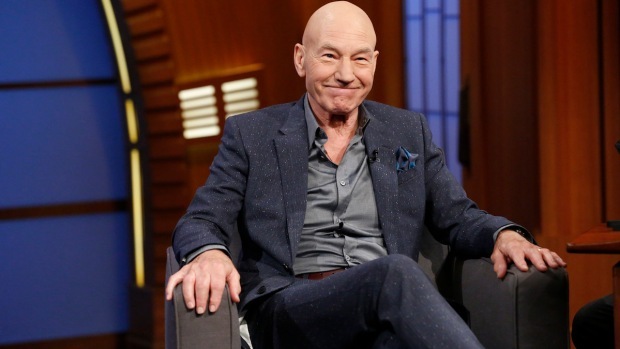 "@SirPatStew will be returning to his iconic role as Jean-Luc Picard in a new #CBSAllAccess #StarTrek series that tells the story of the next chapter in Picard's life." 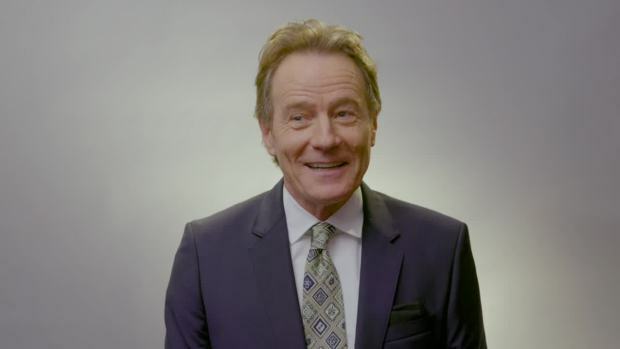 In Seth Meyers's segment "Actors on Auditions," Bryan Cranston, Patrick Stewart, Cobie Smulders and Chris Maloney tell tales of auditions past. Star Trek: The Next Generation aired between 1987 and 1994, after which Stewart reprised his role as Picard, captain of the starship Enterprise, in four movies based on the show, the last of which, Star Trek: Nemesis, was released in 2002. 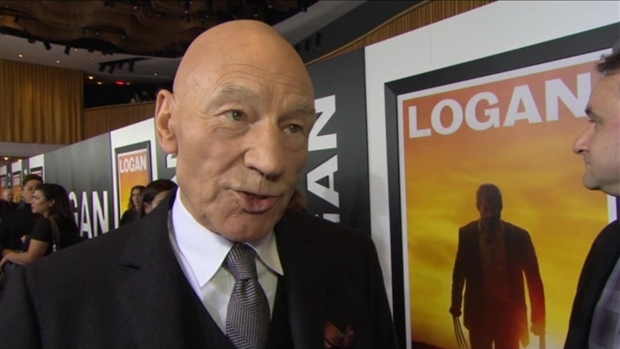 Over the next few years, Stewart would gain a slew of new fans thanks to his portrayal of Professor X in the X-Men series. "I will always be very proud to have been a part of Star Trek: The Next Generation, but when we wrapped that final movie in the spring of 2002, I truly felt my time with Star Trek had run its natural course," he wrote on social media on Saturday. "It is, therefore, an unexpected but delightful surprise to find myself excited and invigorated to be returning to Jean-Luc Picard and to explore new dimensions within him. Seeking out new life for him, when I thought that life was over." "During these past years, it has been humbling to hear stories about how The Next Generation brought people comfort, saw them through difficult periods in their lives or how the example of Jean-Luc inspired so many to follow in his footsteps, pursuing science, exploration and leadership. I feel I'm ready to return to him for the same reason--to research and experience what comforting and reforming light he might shine on these often very dark times," he said. "I look forward to working with our brilliant creative team as we endeavor to bring a fresh, unexpected and pertinent story to live once more." Onstage at the Las Vegas event, Stewart told fans his character "may not be a captain anymore. He may be someone who has been changed by his experiences." "We have no scripts as yet," he said. "We're just talking storylines. It will be something very different but it will come to you with the same passion." The new Star Trek series' name and release date has not been disclosed. It is the second franchise show for CBS All Access. Star Trek: Discovery, the sixth live-action Star Trek series, debuted on the digital streaming service last year. Meyers: Stewart Talks Gervais, "X-Men"
Seth Meyers' first return guest Patrick Stewart talked about working with funnyman Ricky Gervais and traveling while promoting his new movie "X-Men: Days of Future Past." In June, Stewart teased a possible return to the Star Trek franchise, telling Red Carpet News TV that while he hasn't seen Star Trek: Discovery yet, he "may have good cause to look at it very soon." That month, the Hollywood Reporter had said that there were "rumblings" of a new Star Trek series featuring Stewart as Picard.